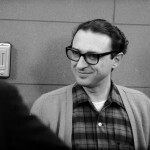 Born in Chicago in 1924, Sheldon Harnick is one of the most distinguished lyricists in the history of musical theater. He studied music at Northwestern University and was eventually drawn to Broadway, where he wrote the words of “The Boston Beguine” for the revue New Faces (1952). He later contributed material to Two’s Company and The Littlest Revue. 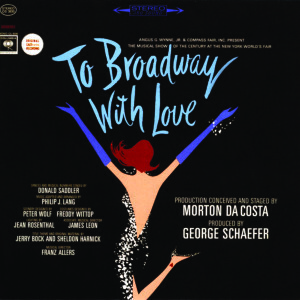 By 1958 he had joined forces with the composer Jerry Bock, and the team of Bock and Harnick would turn out a series of musicals that included some of the best loved in the middle 20th century. Their first joint venture was The Body Beautiful (1958), a musical about an aspiring boxer, which had only a brief run on Broadway. Their next collaboration, however, was a smash hit, Fiorello! (1959), about New York’s celebrated mayor Fiorello LaGuardia. Tom Bosley played the corruption-routing mayor, and the musical enjoyed great acclaim, winning the Pulitzer Prize for Drama, the New York Drama Critics’ Circle Award, and several Tonys®, including one for Best Musical. Reform is also the central theme of the next Bock and Harnick collaboration, Tenderloin (1960), a musical about a priest’s uphill battle to clean up New York’s 1890s red-light district in the face of establishment corruption. In 1963 the team brought out She Loves Me, based on the romantic comedy Parfumerie by the Hungarian Miklós László. But the most successful musical that Bock and Harnick worked on is surely Fiddler on the Roof (1964), the original production of which ran for an unprecedented 3,242 performances. A tale about a Jewish husband and wife and their five daughters, all living in a Russian shtetl in the early 20th century, the musical snapped up numerous Tonys®, including Best Musical, Best Composer and Lyricist, and Best Choreography and Best Direction of a Musical (both for Jerome Robbins). The next Bock and Harnick musical, The Apple Tree (1966), consisted of three short acts, the first based on Mark Twain’s “The Diary of Adam and Eve,” with Alan Alda as Adam and Barbara Harris as Eve. 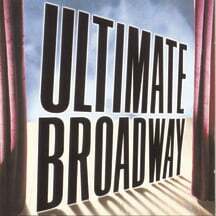 The production earned several Tony® nominations, and Barbara Harris won the Tony® for Best Actress in a Musical. 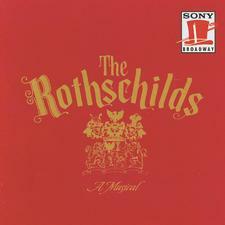 The team then collaborated on The Rothschilds (1970), about the famous banking family, and the work garnered several Tony® nominations and two awards – Best Actor in a Musical for Hal Linden and Best Featured Actor in a Musical for Keene Curtis. Harnick collaborated with many other musicians over the years, including Richard Rodgers on one occasion; the two joined forces for Rex (1976), a musical about Henry VIII, with Nicol Williamson as the king and Glenn Close – appearing for the first time in a musical – as Princess Mary. Original cast recordings of The Apple Tree, The Rothschilds, and Rex are available on Sony. Harnick’s translations include English-language versions of the librettos for Stravinsky’s Soldier’s Tale, Lehár’s The Merry Widow,and Bizet’s Carmen. Harnick has also written original librettos for Jack Beeson’s Captain Jinks of the Horse Marines, Thomas Z. Shepard’s Love in Two Countries, and Arnold Black’s The Phantom Tollbooth, among others.He wrote the theme-song lyrics for the films The Heartbreak Kid and Blame It on Rio.